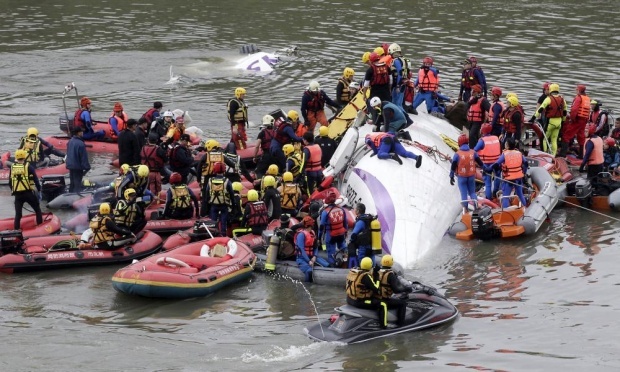 A raw video taken by a motorist showing TransAsia Airways Flight GE235 plane crashing into a river in Taipei. The plane had 55 passengers and crew members on board 25 of whom died in the crash. 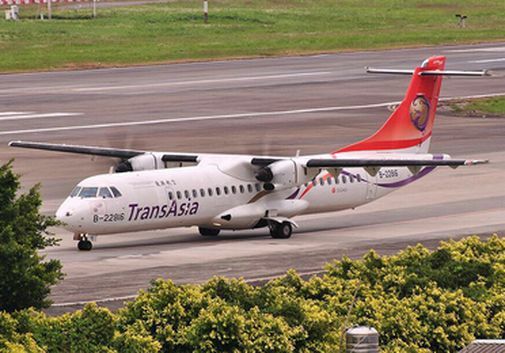 Rescue operation underway after the TransAsia Airways Flight GE235 crash. 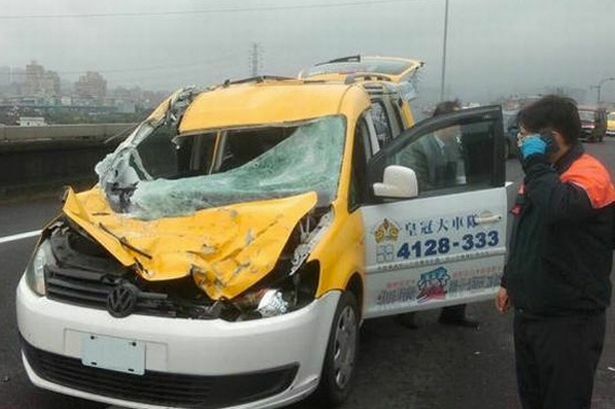 This car can be seen getting hit by TransAsia Airways Flight GE235 in the footage. Our thoughts with the families of those lost. We pray for speed recovery of the injured.